Leah's Crafty Life: What a weekend! how great! I love the potting you had going on, so jealous cos I have NO green thumb! TY for the comment about the better looking one...I hate when they are told how they look alike, I cringe. sOUNDS like a great Saturday!Leah cool idea with the planting!i SO don't have a green thumb (more like black)i try and kill everything! 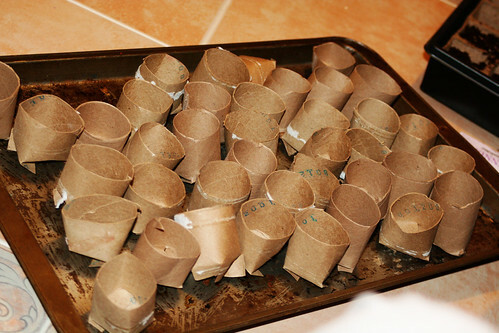 Great idea about using toilet paper rolls for seed starting. Your park sounds wonderful! 10 tennis courts?!! I'd be in heaven! 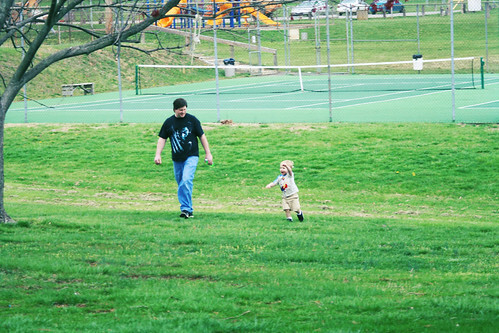 looks like everyone had a blast leah! 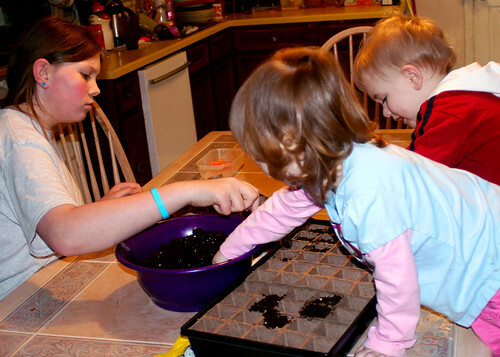 good for you on getting those seeds potted!!! :) cute pics!